Listed below are some fun outing and activity ideas that troops have enjoyed in the past. Please note before taking your troop on any outing, you need to verify that it is safe and appropriate. The first step to do this is by reading and following the specific Girl Scouts of Eastern MA (GSEM) Safety Activity Checkpoint associated with your activity and reviewing the Safety-wise chapter and Approaching Activities sections of the Volunteer Essentials (chapter 4). If your activity falls in GSEM’s high risk category, you need to check that the vendor has an up-to-date certificate of liability with GSEM: you can check that in GSEM’s Current Certificate of Liabilities document. If you have any questions about safety, travel, or certificates of liability, please email the Girl Scouts of Eastern MA directly at Safety@girlscoutseasternmass.org. >> Coloring sheet activities for younger girls – nice activity during Cookie promotion time. >> Pizza making, baking, and sampling outing for Scouts. >> Self-directed visit to an indoor garden filled with hundreds of free-flying butterflies. >> Art-related workshops for Brownies, Juniors, and older Scouts. >>Troops can visit this Science & Nature museum and explore the exhibits and grounds on their own or schedule an Educator taught program. >> Offers children’s group tours. >> Many pages of activities, games, and videos for all levels of Girl Scouts. >> Check the website or call for hours. >>The Friends of Holliston Trails is a non-profit organization established to support the Holliston Trails committee. See the attached PDF for some ideas of how Girl Scouts can help. >> Offers 3 programs for Girl Scouts but will also customize an outing to meet troop needs for badge requirements. >> Girl Scout soap- and lotion-making workshops – they’ll work with you for level appropriate offerings. >> Offers pages full of programs, tours, badge work, and projects for all levels. 89 Cross Street, Holliston, 617.872.9019 info@puresugarcandy.com. 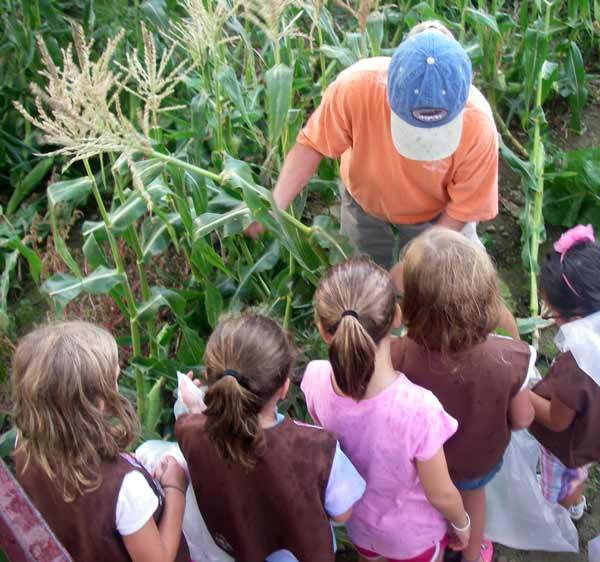 >> Offers Scout field trips with different farm-related options. >> Offers contest for girls to create a sundae using a secret ingredient — will work with troops re: allergies. >> Offers free and open-to-public visits; troops can schedule free, guided group tours of greenhouses and botanic gardens, too. >> Offers workshops for badges for all Girl Scout levels. >> Offers store tour after which the girls eat pizza, samples, etc. They also offer a food-making program for a fee. Also check out the GSEM Program Guide for events throughout Eastern MA. *Note that there are guidelines around venues involving high risk activities such as horseback riding, swimming/water sports, archery, ropes courses, hayrides, gymnastics/trampolines, etc. For these and any activities on this list, troop leaders are responsible for assessing the activity, as well as verifying its certificate of liability is current with GSEM where appropriate. What if an outing is listed as high risk in the Volunteer Essentials but my vendor isn’t listed in GSEM’s Current Certificate of Liabilities document? If you don’t see your vendor listed as having a current certificate of liability in GSEM’s Current Certificate of Liabilities document, you can request approval for an activity by following GSEM’s How to Request Approval for an Activity document. You will need a Certificate of Liability from the vendor: this is an example of a Certificate of Liability. If you have any questions about this, please email the Girl Scouts of Eastern MA directly at Safety@girlscoutseasternmass.org.